My favorite restaurant has changed their menus a lot. I couldn’t eat Korean foods at Korean airports on my trip to Cambodia. So, after got back to Japan, I wanted to eat KImchi Jjigae any other way. 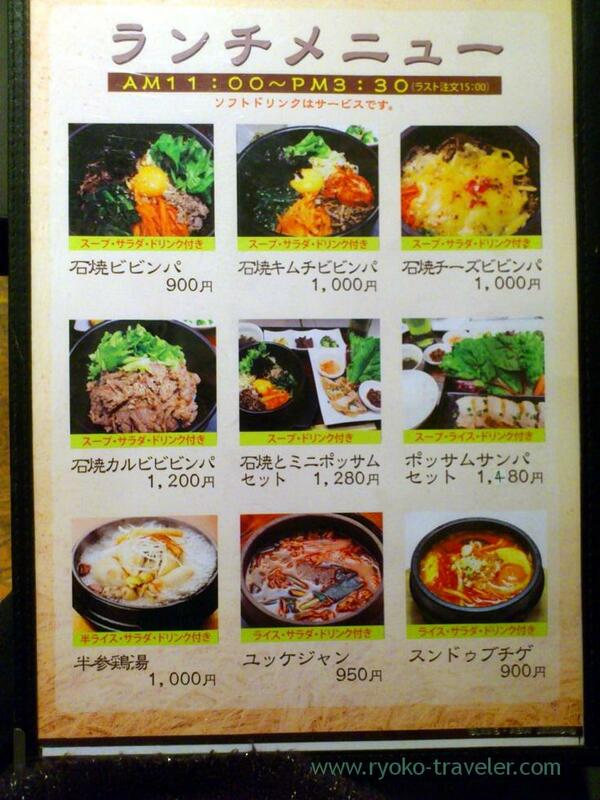 Speaking of Korean foods, I remember Apgujeong-dong in the building of “Funabashi FACE”. So, I went to there. I saw the menus and I was so surprised. Because the menus has changed. They has also started serving lunch sets at holidays, too. The menus have nine lunch sets. Bossam set is not eaten at lunch time at another restaurant ! 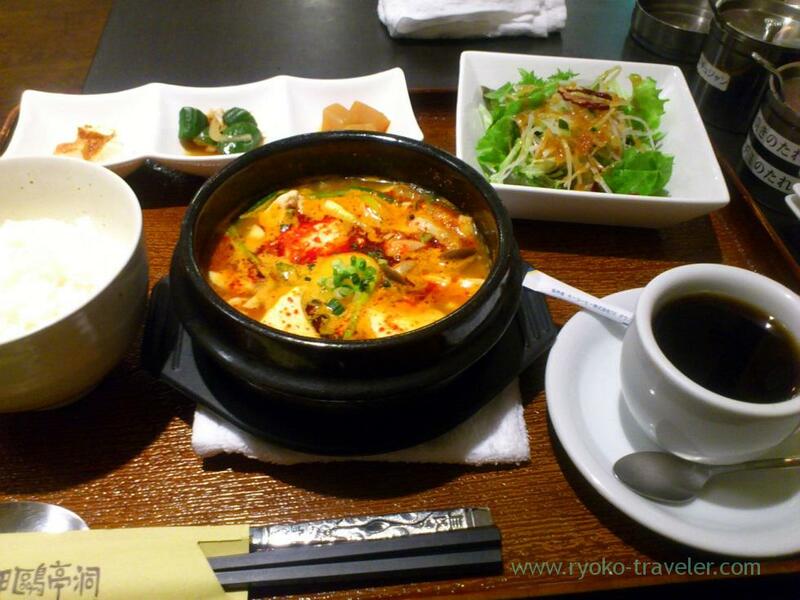 I couldn’t choice my delight, so, I choced a Sundubu jjigae set (スンドゥブチゲセット, 900 yen).
! Salads ! Lunch sets didn’t have salads before ! And large ! It is valuable ! 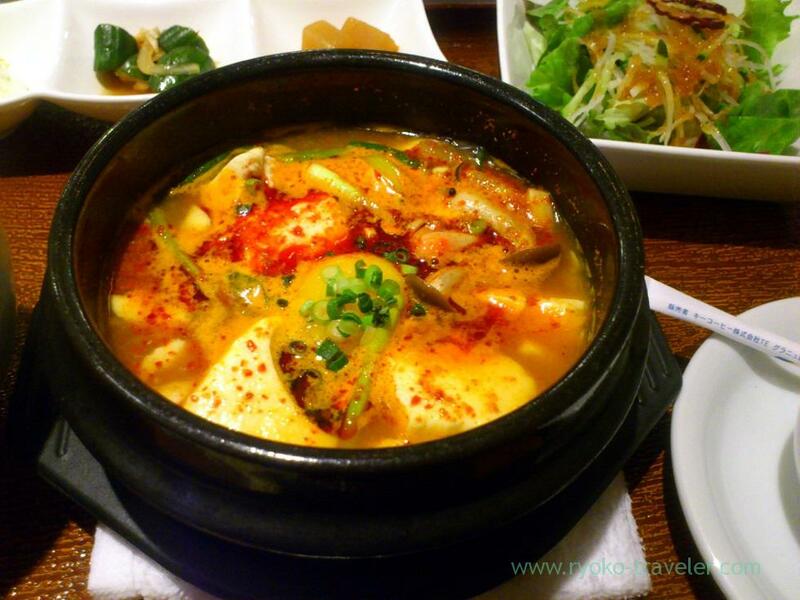 I like Kimchi Jjigae best, but this Sundubu jjigae is second. It was spicy and those tofu was soft as usual. I want to eat Bossam next time !